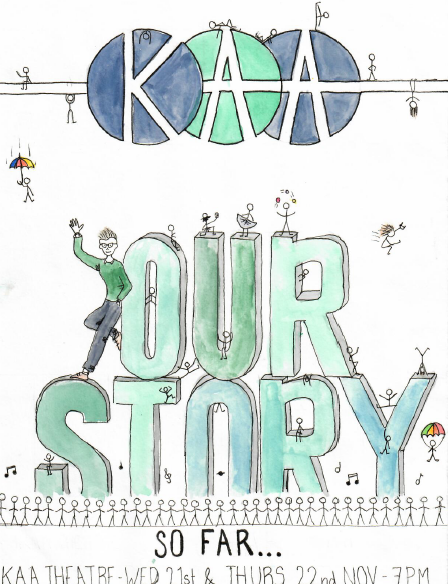 The KAA Big Show is now sold out for performances on Wednesday 21st November and Thursday 22nd November! The show is a positive celebration of the school’s unique strengths and identity, and we are proud of what the students have written and hope you will like it as much as we do. Ticket holders can collect their tickets from 6.30pm at reception on the night of the performance to allow audience members to take their seats by 6.45pm. The show will begin at 7pm. A reminder that the show on Wednesday 21st November will be filmed by production company TwentyTwenty. If you would like to be added to the waiting list in case of ticket returns, please email Miss Turner at v.turner@kaa.org.uk.